Cardiovascular and pulmonary disease doesn't have to be a prison. 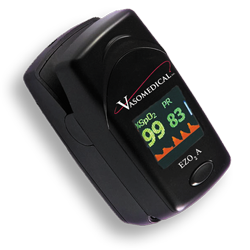 Get out there and stay active while ensuring your oxygen levels and pulse are within your doctor's recommended range. Also a great tool for professional as well as amateur atheletes to gauge their performance during training, especially at higher altitudes.